Holiday greetings to all! We hope you’re having the best day ever. Glad to hear from you–I was thinking of your palm frond planter as I picked up after last night’s wind storm and wondering how you’ve been doing. Happy Holidays! I was just stopping to by to wish you a very merry day, and here you have posted! I feel like I’ve just been given the best present! Lovely indeed to hear from you, hope you are feeling well! Thanks so much, Z, lovely to see you here as well. Looking forward to new posts from you. Regardless of how big or small, you are an inspiration to all. Aw, thanks WF … I appreciate that and new posts are on the way! I was recently lucky enough to visit Denise’s garden, and also stop in at Potted, both of which had me thinking of you. So nice to see a post as I was wondering how you were doing. Thanks, Loree, I’m getting along, but the recovery is very slow-going. How exciting that you were hereabouts! Thanks, Raul, for stopping by and for commenting! Hey, there, thanks for dropping in … I chose that font pretending that I was designing it for our first album of chihuahua-geared songs … I’m looking forward to seeing your patio progress! Recovery always turns out to be a much longer journey than we anticipate and plan for. But such great news to read that you’ll be posting again. Of course you’re right about recovery. Happy to read that you’re glad for new posts! Great to see your coming back to us in a writing form. Great photo of you and the family. It will be nice to hear from you in 2015!! We miss your writings. Great to see a new post from you, it means your feeling at least somewhat better. Looking forward to your future posts. Happy Holidays! We have high expectations for 2015. Onward! Thanksamillion, Matti … glad to see you! YAY!!!! He’s back. Happy New Year Reuben to you and Paul. Thanks, Val … holiday greetings to you in Costa Rica! Have missed your fun post and inspiration! Happy to have you back especially at this holiday season. Love, love your pic! Happy New Year and may this coming year be full of good health. fun and happiness and lots of succulents! So happy to read your comment, Faye, thanks very much and happy holidays! Reuben, I am so glad to see this post and to hear that your recovery is progressing (yay! ), though slowly (oy). I can’t ever thank you enough for the happiness and inspiration your blog provides. 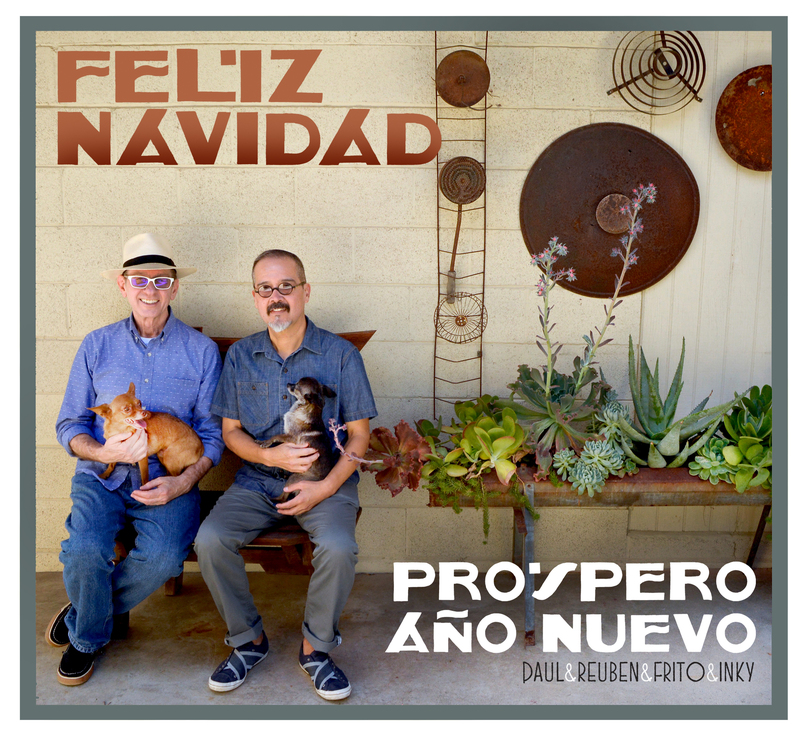 Wishing you and Paul and Frito and Inky a wonderful 2015! (I also second Desert Dweller’s comment: love that font. LOVE it [runs off to search for font].) Happy New Year! What a sweet message, Luisa … Thanks from all of us and happy holidays!